Back in June, Jack and I headed up to Edinburgh for a couple of days, as you may have seen already from my Edinburgh in One Day post. Seeing as we’d travelled all the way to Scotland, we thought we may as well venture out into the Highlands too. 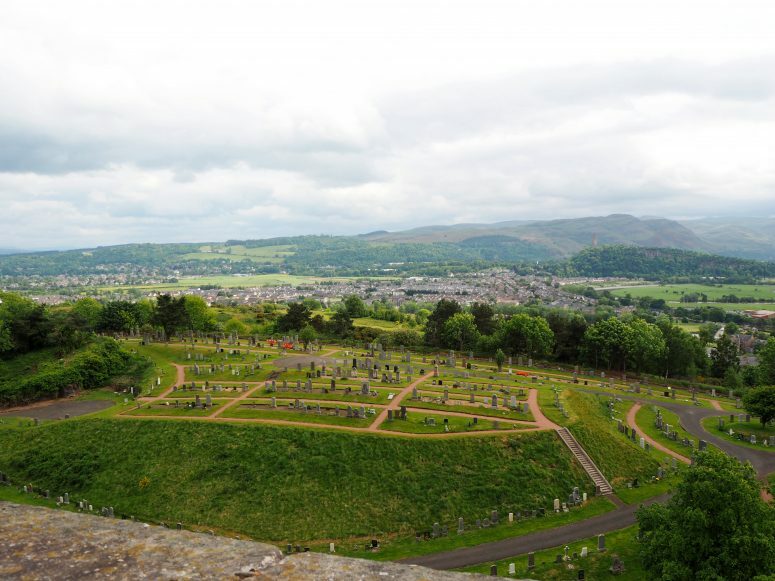 As we wanted to see as much as possible in the short time we had, we headed off on the 1-day Stirling Castle, Loch Lomond and Whisky Tour with Highland Experience Tours. We wanted a Scottish day of exploring and that is just what we got! We left our AirBnB at 8:30am, excited for what the day would hold. Following a very efficient check in at the HEX Tours HQ, we hopped on the minibus with our guide Aileen and set off on our adventure. Aileen really was the whole package; a knowledgable tour guide, a dab hand at manoeuvring the bus and more than happy to have a good natter! You could tell that she had a real passion for Scotland and loved sharing her knowledge of the country. Highland Experience Tours pride themselves on being “Scottish Specialists” and that they definitely were. While driving between locations Aileen narrated Scottish myths and legends. Her stories included The Kelpies and the Battle of Stirling Bridge which gave us some great background information about the places we were visiting on our trip. Aileen also played relevant bagpipe music to set the scene for the trip. Much to our amusement she introduced us to the “Red Hot Chilli Pipers”. Bagpipes playing We Will Rock You? It was definitely new to me! The first stop of the day was to be the spectacular Stirling Castle. The bus stopped just outside the castle, but we did have the option of venturing down into the town itself instead. Although, I think everyone in our group headed in for a closer look, it did look pretty incredible from the outside! We had 2 hours in which to explore the castle, and Aileen made sure to tell us where to head to see the best bits. 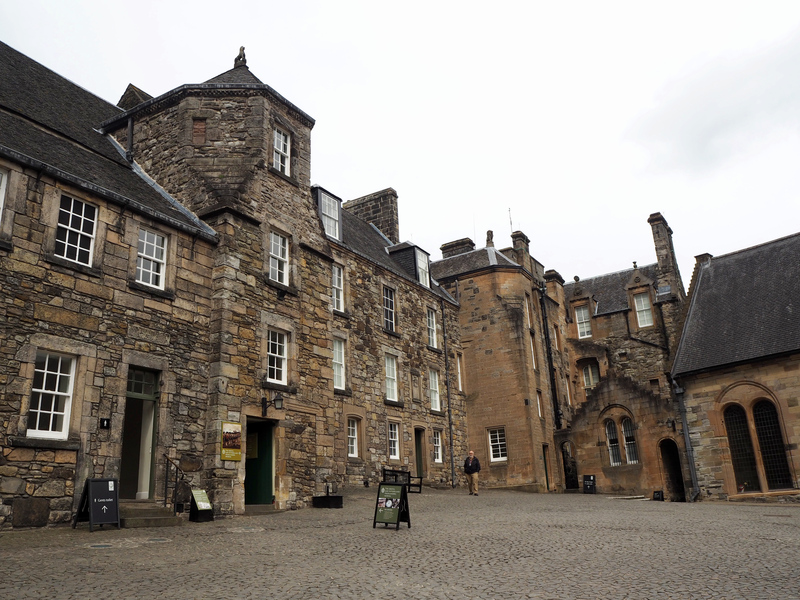 Stirling Castle dates back to the 12th Century and has quite a palatial feel to it. 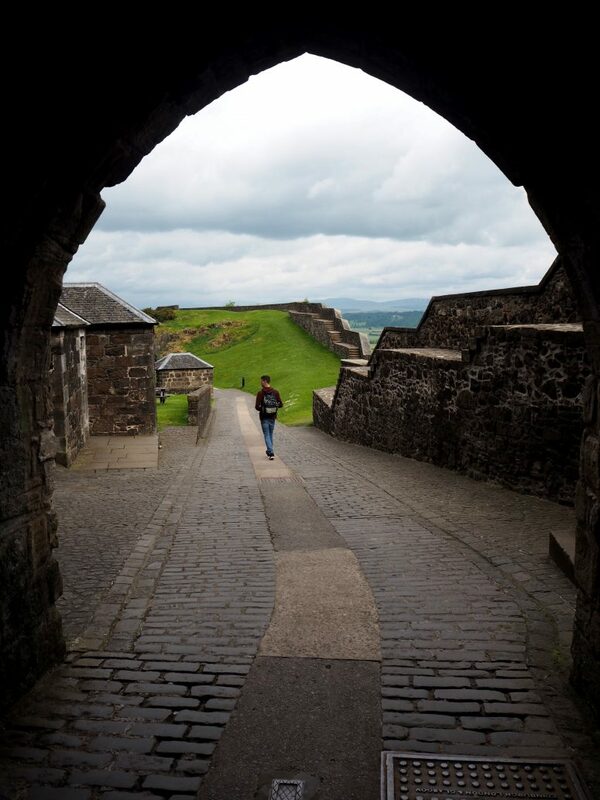 I’m told Edinburgh Castle has more of a military focus, so it wouldn’t be too same-y if you were to see both! The castle itself has beautiful stained glass windows and tapestries with plenty of corridors to explore. It would also be perfect for anyone with children as there’s a great activity area and many actors throughout the rooms to bring the castle to life. 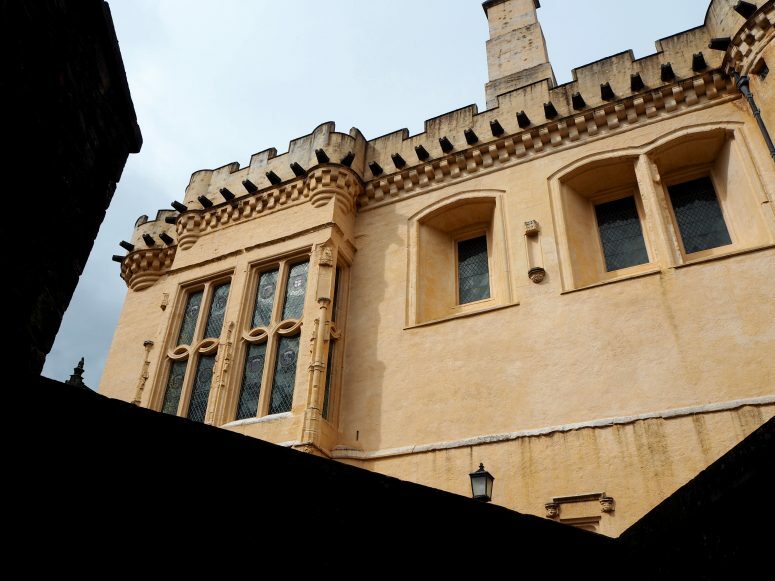 Entry to the Castle is not included in the tour price, however a discount is given. From Stirling, we made our way through The Trossachs National Park towards Loch Lomond. The Trossachs was the first of two National Parks in Scotland (the other being the Cairngorms). The park covers over 720 square miles with landscapes ranging from Lowland to Highland and spectacular views from every angle. 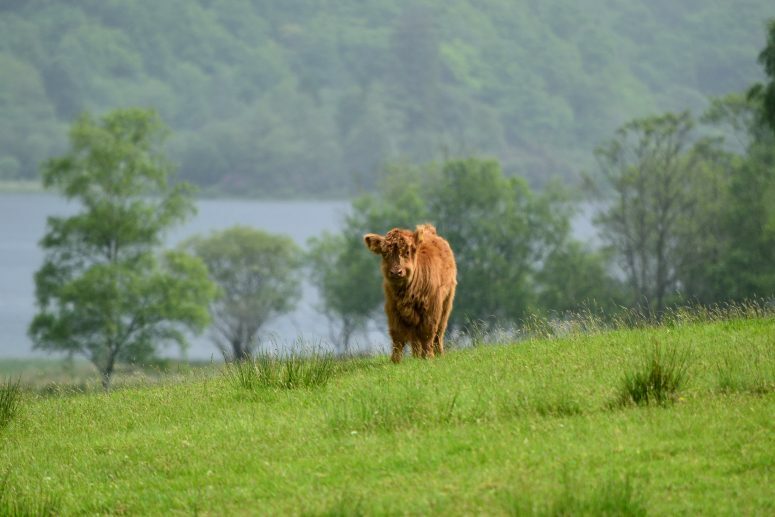 Mid-way through the park, Aileen stopped off at a small field where we were greeted by two beautiful Highland Cows and their calves. Oh my were they cute. I have to admit, I did spend a bit too long trying to get the perfect fluffy cow shot. I think this was a highlight of the day for many as it came as a total surprise and really showed how the HEX Tours team were willing to go the extra mile to give you the best experience possible. We then proceeded along the Duke’s Pass, created by the Duke of Montrose in the 19th Century. The Pass is said to be one of the most beautiful drives in Britain and I can definitely vouch for that! It was also frequented by Queen Victoria in her horse and carriage, allowing her to take in the stunning mountain views. 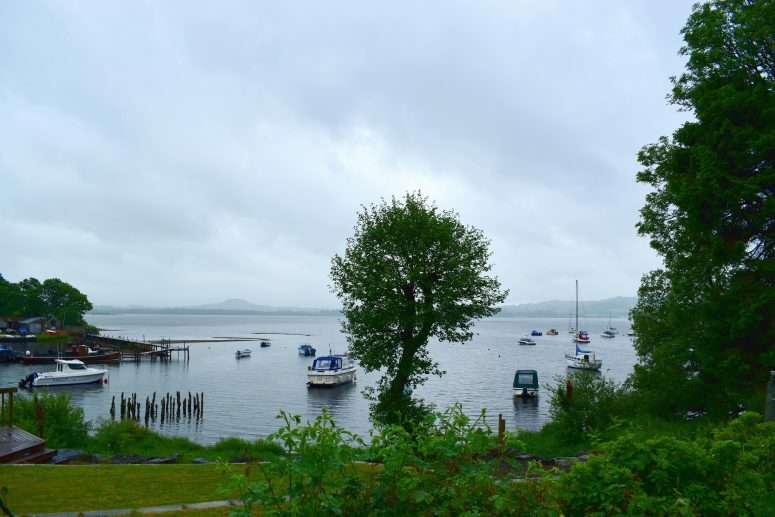 Scotland has over 31,000+ lochs and with a surface area of over 27 square miles, Loch Lomond is the biggest (by surface area) and is also one of the most beautiful. Unfortunately for us, the rain and mist set in just as we arrived so we didn’t see the Loch at its best, but we still got a pretty good idea. One of the 30+ islands within the Loch is actually home to a colony of wallabies, you’ll have to have a wander around and see if you can spot them on a clear day! 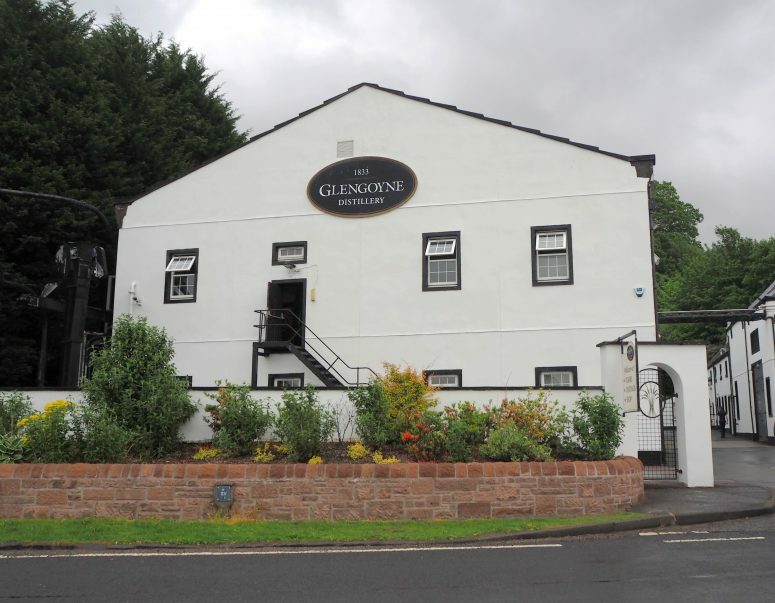 Next up was the Glengoyne Distillery, one of the most highly anticipated parts of the day. The distillery was founded in 1833 and has been a continuous producer of whisky ever since. Glengoyne is also entirely unique, as it produces Highland whisky matured in the Lowlands. Scotland historically has six whisky regions; the Highlands, Lowlands, Islands, Speyside, Islay and Campbeltown. The location of the stills that produce the whisky determines which region the whisky is said to be from. In the case of the Glengoyne Distillery, this is in the Highlands. However, the casks themselves are actually matured in the Lowlands, in another part of the distillery just across the road! The Distillery tour was extremely interesting and the guides showed us exactly how the whisky is made from start to finish. They were also brilliant at answering any questions from budding whisky connoisseurs! Following the tour of the factory we were able to try a dram (or two!) of their 12 year old and 18 year old whiskies. Tours of the Distillery are not included in the original price, but again a discount is given. The last stop of our tour was to see The Kelpies in Falkirk. According to Scottish myth, Kelpies are a kind of transforming water spirit with the strength and endurance of 10 horses. 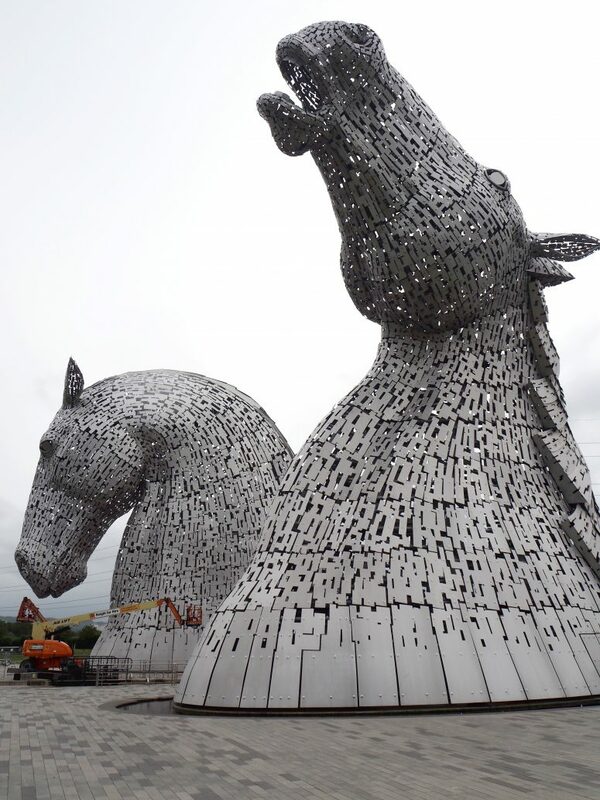 The sculptor Andy Scott used both the myth and the history of working barge horses in Scotland to design the two 30 metre high statues. 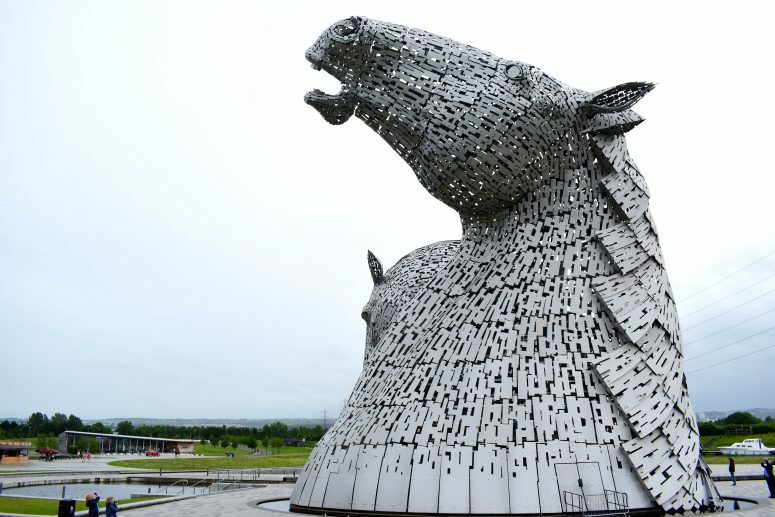 The Kelpies were constructed as part of The Helix Project, a project initiated in 2003 in order to improve connections between and around 16 communities in Falkirk. Helix Park was created for this purpose and also to regenerate the area around the Forth and Clyde Canal. The Kelpies can be found at the centre of the park, standing proudly over one of the canal locks. The park also has numerous walks, cycle paths, adventure zones and water sport programmes on offer. It’s the ideal destination for a fun day out, just outside of the city. We stopped off at the Kelpies in the evening so the park had officially shut, but if you do get the chance to go during the day I would highly recommend it! In short, yes I would. I can safely say you’ll get your money’s worth with this one. The tour ran for a full day (9-19:00) and covered numerous stops across the width of the country. Some of the stops were quite far apart, but Aileen’s myths and musical interludes did well at keeping us entertained. The break for lunch wasn’t particularly long, so do pick up a couple of things to take back on the bus with you. 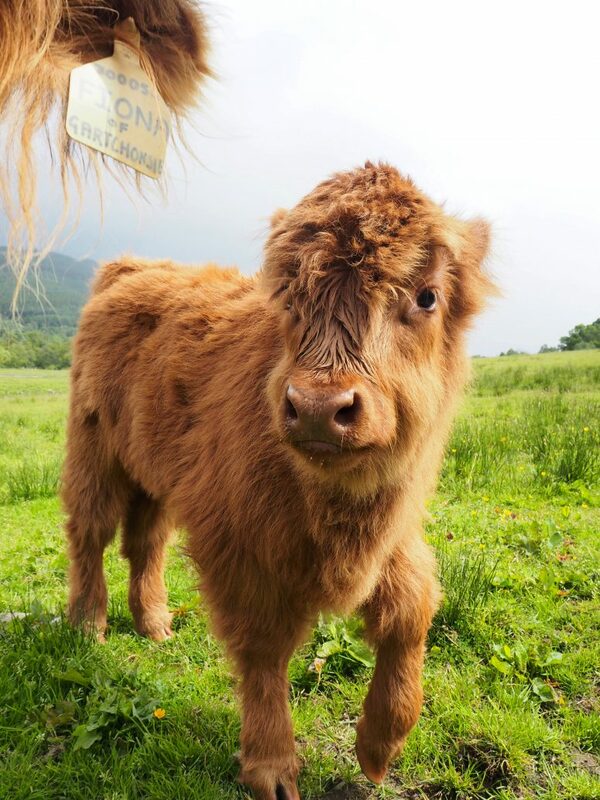 If you find yourself in Edinburgh and want to head to the Highlands then I would definitely recommend Highland Experience Tours. They also run trips from Glasgow and Inverness if you’re in those areas. You’ll have a truly Scottish day that you won’t forget. Have you ever explored the Highlands or Scotland before? If so, what was your favourite bit? Let me know in the comments, I’d love to find out! As always, thank you so much for your continued support. Don’t forget to comment and follow/subscribe to keep up to date on all my posts! Highland Experience Tours very kindly hosted me for a review, but as always all opinions and words are my own. The tour I went on can be booked for £36 for adults and £33 for concessions. 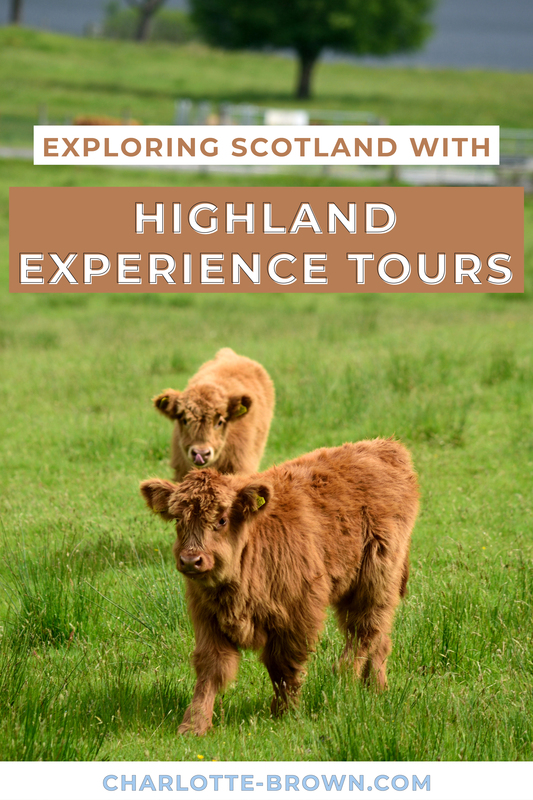 Click HERE to head over to the Highland Experience Tours website.